What do you think of when you think of Irish alcohol? Likely, stout beer (i.e. Guinnes), Jameson (i.e. Irish Whiskey), and Irish Cream (i.e. Baileys). Why not combine two of these categories - stout beer casks and Jameson? Thus, we have a stout barrel finished Jameson. 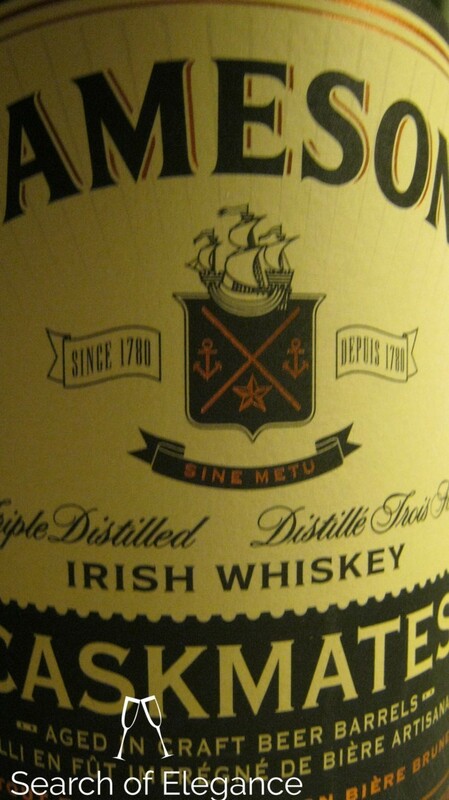 As with the standard Jameson, this is triple distilled and made at Midleton distillery in County Cork. Pot still character comes out right from the outset, apple, balsamic vinegar, fried mushrooms, but with the stout character coming in just at the end – burnt toast, roasted malt, and light acidity. It is much more smoothed out than the standard Jameson, and the pot still character is a bit more central. The palate is loaded with vanilla and carries on with the richness of the stout character. Nice chewy texture. Finish is a lot of the malty, stout characteristic but with some toffee and hard caramel candy, and a bit of apple. Lightly bitter on the finish, with some light arugula, stout, vanilla, and dried leaves. Value: I don’t particularly like this, but it’s also not particularly expensive - so average- in value.